#3 DUKE 69, NORTH CAROLINA 53 - North Carolina spotted Duke a 14 point lead and did not make a three pointer the first 34 minutes. Duke shot 69.2% in the first half hitting 5 of 9 three pointers, while Carolina shot 27% and was zero for eight from behind the arc. With Kelly and Plumlee spreading the defense, Seth Curry ran around and scored at will in the early going hitting his first seven shots turning the fierce rivalry into a rout. Curry finished with 20 points, while Mason Plumlee turned in his best performance in a month with 23 points and 13 rebounds. That duo provided Duke (27-4, 14-4 ACC) all the punch it needed to earn a season sweep of the Tar Heels (22-9, 12-6). The Tar Heels small ball lineup had no answer for Curry in the first half, and Plumlee in the second. #6 MIAMI 62, CLEMSON 49 - Down to its third try and last chance, Miami came through. Kenny Kadji scored a season-high 23 points to help the sixth-ranked Hurricanes win the ACC championship outright by beating Clemson on Saturday. Kadji also grabbed 12 rebounds and Miami (24-6, 15-3 ACC) clinched its first outright men's basketball league title after being foiled in consecutive losses to Duke and Georgia Tech. The Hurricanes tied the school record for victories set in 2001-02, when they went 24-8, and improved to 14-1 at home in their regular-season finale. 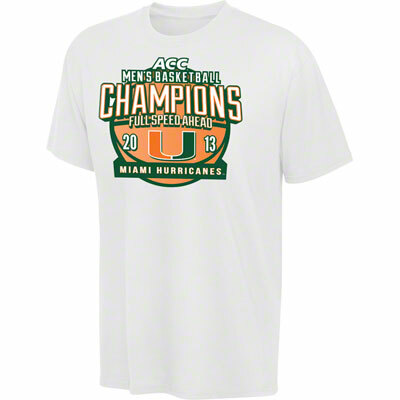 The league championship is the second for the Hurricanes, who shared the Big East Conference title in 2000. FLORIDA STATE 71, N.C. STATE 67 - Freshman Devon Bookert scored a career-high 18 points and Michael Snaer added 17 as Florida State fought back from an eight-point deficit in the second half Saturday to defeat North Carolina State 71-67 in the regular-season finale for both teams. A pair of free throws by Bookert gave the Seminoles (17-14, 9-9 ACC) their first lead of the second half at 57-55. He then added a jumper with 2:01 left to snap a tie at 62 with 2:01 left and three free throws in the final 1:23 of the see-saw contest featured by nine lead changes and nine tied scores. Snaer broke away and caught a length-of-the court pass from Okaro White for an uncontested dunk that gave Florida State a 67-63 lead with 32 seconds left after both teams suffered turnovers in previous possessions with the lead on the line. Richard Howell's three-point play with 21 seconds left got the Pack to within 67-66. He scored off a missed three by Wood and was fouled on the put back. BOSTON COLLEGE 74, GEORGIA TECH 72 - Freshman Joe Rahon scored 15 points, including eight in the last four minutes, to lead Boston College past Georgia Tech on Saturday afternoon. In BC's regular season finale, Rahon shot 5 of 7 from the floor and handed out a game-high seven assists. Freshman Olivier Hanlan netted 14 points on 6 of 9 shooting, sophomore Ryan Anderson scored 13, and classmate Eddie Odio posted a career-high 11 points. Trailing 64-59 with 4:19 left, the Eagles went on a 12-0 run to stake a 71-64 lead with 28 seconds on the clock. Rahon scored eight points during the run while Hanlan scored on two layups - the first after an Odio block started a transition play and the second after he came up with a steal off of full-court pressure. The Yellow Jackets hit two three-pointers in the last 25 seconds, but the Eagles made enough free throws to seal the win.